Consistently improve your marketing with essential data. The best reports exist to answer a specific question tied to your marketing. If you’re a smart marketer, you’re already using Google Analytics to aid in your marketing decisions. But sometimes Google Analytics reports can get overwhelming. It is easy to get lost in an array of data without knowing what to take away from it. Looking for an easy guide of what report to look for depending on a specific question you are trying to answer? We’ve got you covered in this post! 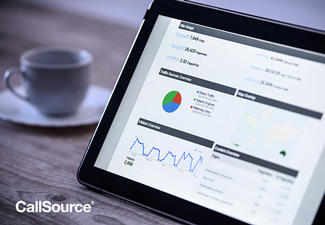 What makes a report in Google Analytics Important? All Google Analytics reports are important because they provide information on every user’s activities occurring on your organization’s website. But what makes a single report more important compared to another one is the value that you place on the information it provides. The most valuable reports will be the ones that answer important questions you have. Google Analytics reports are overkill for any business that does not have their important questions written down. Write down every question you want to be answered about your business and use this guide to try to find the reports that answer them. Businesses have to start reporting on information tied to their plans. Unless a plan is written down, it does not exist. If you operate a business without a plan, you will not succeed. You cannot measure success without knowing what success means. Write down your plan and then write down your questions. Got a plan? Yes. Got your Questions? Yes. Question: How many people are visiting my website? You want to know the total universe of people that you are working with each month. You want to measure the growth of visitors to your site to see if you are increasing the number of people visiting each month. You are charged or use a paid tool that has a visitor limit, and you either do not want to hit the limit or want to know if you need to increase that limit before you hit that threshold. People are not Users. Users or Visitors are the terminology Google Analytics uses to define when a unique Google Analytics cookie ID is created. This is not actually a person 1 to 1 but does tend to signify people because counts of people and counts of users are roughly close in number. When cookies are deleted, so is future data tracking. Users are not shared across browsers or devices. When you visit a website from your mobile device, laptop, tablet, desktop, work computer, etc., those are all the different users according to Google Analytics. You should expect to see duplication of users across devices and browsers – there is no way around it in Google Analytics. User counts vary across time as well as cookies do not persist well the longer the time frame. Your data is sampled. Unless you are on Analytics 360, your Google Analytics data is sampled. Sampled data means that you are not working with precise or accurate user counts. You should consider setting up multiple views in your Google Analytics property so that you can filter out internal company visitors, agency visitors, and other data artifacts that contribute to user discrepancies. Question: How many people are returning to my website? You are a rock-star and are focused on measuring one aspect of retention. You want to measure your growth of new and returning visitors over time. You plan to create cohorts based on the sources that brought new people to your site and measure the visitor journey. Conversions are most reliable if someone visits a page and converts immediately. Somewhere between 1 – 7 days, conversion reliability falls prey to cookie issues and being lost to browsers and changed devices. The conversion is still semi-reliable according to Google between 7 – 28 days. Between 30 – 90 days, you are looking at highly sampled and issue-prone data. When Google Analytics does not know if a visitor already exists, it marks them as new. Question: How many web pages occur per session on average? You want to know how deep visitors go on your website, on average. If your website has a lot of indexed public facing pages, then this metric might matter a lot more. You care less about quantities and care more about the engagement of your overall site in moving people into deeper links. Deep linking or visitors clicking around on your site has a benefit to SEO. While users suffer from duplication and are error-prone, sessions ignore this. Sessions are just grouped events by time and by interaction type whenever the cookie ID loads on site load. Site load can vary from pages loading, resources downloading, videos buffering, API calls or requests being made, etc. Sessions tend to be far greater than users. Confirm that your sessions are scoped and time-limited to the appropriate limits in your admin settings. Do not compare your session data to another website because it will not be accurate. Question: What kind of devices are my visitors using to visit my website? You care about the customer experience on your website across devices. You want to know what types of devices your visitors are using in order to segment them into audiences for retargeting on those same devices. You want to identify devices that have high bounce rates and low conversion rates to see if there is an issue with your website using a specific device. Devices are detected often by the size of the screen viewing the web page, but there are other indicators like mobile device ID that can be used to determine the type of device. Devices are what Google Analytics is confident about but still suffers from accuracy errors. Question: What marketing channels are driving traffic to my website? Your marketing involves multiple channels, and you want an overview of traffic from each of those channels. You invest or spend money on promotional channels and want to measure the effectiveness of that marketing. You want to measure retention of your audiences across channels. Do not engage in channel wars. Comparing channels is a bad habit of organizations who diagnose the effectiveness of their channels using only limited metrics. Correctly comparing channels requires a robust attribution and lifetime value models to determine if a channel is performing well over time. Also, consider a channel that is not being utilized as well as it could be versus a channel that is just a bad channel for your business. Question: What search engines are driving organic traffic to my website? You want to know which search consoles you need to add based on the search providers sending you organic traffic. You plan to dive into the sampled queries provided to you by those search providers in their search consoles and find the queries you are popular for. You want to know which search providers your audiences are using to find your website. (Not provided) keywords occur because of the sampling of data in the search console. You can use the API or purchase a third party tool that can unlock a lot of the raw data and keywords for you from the queries. Consider that the results you find are sampled, therefore they are directional but not precise. You can still use directional data to help you move the needle. NOTE: You must connect your search console to Google Analytics for it to show up. Question: How much local traffic is my website getting? Your business relies heavily on local markets. You want to see how effective your marketing efforts have been on producing local web traffic. You want to ensure you are not getting too much website traffic outside of your marketable geography. Locations are based on several sources of information gathered by Google. First, depending on the browser and HTML5, most modern browsers gather this information themselves, and it can be accessed. Second, devices gather this information and build the GPS out of the connection to the internet. Finally, Google can reference latitude and longitude from a variety of points of historical data and past searches. This is all combined and evaluated to determine the most likely position of someone’s location. The most accurate Google Analytics can be (according to this article) is 11.1 meters. If you want to include store metrics like foot traffic, time in store, number of shoppers in store, etc., these analytics are outside the capabilities of Google Analytics. Question: How quickly is my website loading? Site speed also correlates inversely with bounce rates – you want people to arrive on your site to stay and look around. But if it does not load quickly enough, they leave. You want to determine if there is a specific browser that has issues loading your website. You want to see if your CDN is having a noticeable impact on load speed. Google Analytics has gotten a lot better at determining the average load speeds. There are circumstances where the evaluation is dramatically off based on the type of website. Requests play a large role, and these can be skipped giving a wrong impression of a site loading quickly when it does not. Also worth noting is the type of connection like a 2g, 3g, 4g, LTE, 5g, etc. that your users are on while using a mobile device will affect the load. Hopefully, this easy guide has helped. Feel free to use this go-to guide whenever you need by bookmarking this page, or, download our PDF version here. Stay tuned next week for answers to even more questions with our guide to advanced Google Analytics Reports.